Becton, Dickinson and Company (BD) and USAID have combined resources to improve laboratory capacity for TB diagnostic laboratories and to utilize GIS to increase patient referral. BD's technical support to strengthening laboratory capacity is a key element of USAID's effort to develop a high quality national laboratory network for TB diagnosis and control. BD's support significantly expands the technical resources available to Indonesia's National TB Program. In an ongoing effort to prevent and control infectious disease outbreaks globally, the U.S. Agency for International Development (USAID) and Becton, Dickinson and Company (BD), a leading global medical technology company, collaborates to strengthen Indonesia’s national reference laboratory systems. This new private/public partnership supports the National Tuberculosis (TB) Program (NTP), and will aim to improve and expand quality laboratory services. In particular, the collaboration will emphasize the early detection of TB cases, as well as monitoring and treatment services. Modeled after the U.S. President’s Emergency Plan for AIDS Relief (PEPFAR) and BD’s Labs for Life program, the USAID/BD collaboration will introduce improved laboratory practices in 19 national reference laboratories supported by the NTP, which are conducting TB diagnostic services. BD will also train lab workers on the TB culture drug susceptibility testing, and together, USAID/BD will develop a nationally recognized accreditation and certification system for Indonesian laboratories and lab personnel. BD is a medical technology company that serves healthcare institutions, life science researchers, clinical laboratories, industry and the general public. BD manufactures and sells a broad range of medical supplies, devices, laboratory equipment and diagnostic product. BD is headquartered in the United States and has offices in more than 50 countries worldwide. BD Diagnostics is a leading provider of products for the safe collection and transport of diagnostics specimens, as well as instruments and reagent systems to accurately detect a broad range of infectious diseases, healthcare-associated infections (HAIs) and cancers. The BD Diagnostics segment focuses on improving health outcomes for patients by providing laboratories with solutions that improve quality, enhance laboratory system productivity and inform medical decisions. BD Biosciences is a world leader in bringing innovative diagnostic and research tools to life science researchers, clinical researchers, laboratory professionals and clinicians who are involved in basic research, drug discovery and development, biopharmaceutical production and disease management. The BD Biosciences segment is focused on continually advancing the science and applications associated with cellular analysis. "Helping all people live healthy lives" is BDs corporate purpose and the inspiration behind our global enterprise. It is a call to action that resounds with BD associates around the world. By giving our time, our talent and our resources through philanthropic and charitable efforts, we seek to improve global health standards and access to healthcare for all communities. Since the Company was founded 110 years ago, BD has actively donated cash, product and expertise to non-profit and educational organizations in North America and throughout the world. We focus our philanthropy outreach and community relations programs in areas where BD can initiate the greatest impact supporting international immunization campaigns, promoting healthcare worker safety, raising awareness of pandemic diseases, providing disaster relief and much more. BD Helping Build Healthy Communities - BD expands access and improves care for underserved and vulnerable populations in the U.S.
To make a lasting, positive impact on crises such as the HIV/AIDS and TB pandemics, BD's Global Health Initiative deploys three types of resources for improving fundamentally weak healthcare systems existing in developing countries. BD's People provide technical assistance and training that expand these countries' capacity to deliver healthcare. BD makes Products available to developing countries on an affordable and sustainable basis - and also invests in new technologies and products. BD and its Partners - including leading global health organizations -- join forces to implement sustainable solutions that improve patient care in these regions. KNCV Tuberculosis Foundation is the principal international non-profit organization that is exclusively dedicated to fighting tuberculosis (TB) worldwide and to strengthening health systems against TB, globally and locally. 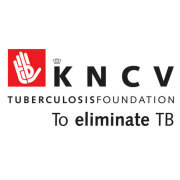 KNCV Tuberculosis Foundation is an international center of expertise for TB control. KNCV is an organization of passionate TB professionals; this includes doctors, researchers, training experts, nurses and epidemiologists. The head office is in The Hague, the Netherlands. KNCV currently have two regional offices, The Netherlands & Euope and Central Asia and ten country offices and/or representation in Botswana, Ethiopia, Indonesia, Kyrgyzstan, Namibia, Nigeria, Pakistan, Tajikistan, Uganda and Vietnam. KNCV aims to stop the spread of the worldwide epidemic of the second ‘killer’ infectious disease and to prevent the further spread of drug-resistant TB. Over the past century KNCV has built up a wealth of knowledge and expertise, initially by pushing back TB successfully in the Netherlands. Since the 1970s KNCV shares the knowledge and expertise with the rest of the world. KNCV builds on people's own strengths, capacities and sense of responsibility and focus the efforts on enabling and improving the capacity of TB control programs and partners to deal with the TB epidemic. KNCV Tuberculosis Foundation facilitates the exchange of knowledge and experience on tuberculosis control with countries and partner organizations. KNCV builds on peoples’ own strengths, capacities and sense of responsibility and focus the efforts on enabling and improving the capacity of TB control programs and partners to deal with the TB epidemic. KNCV works closely with many partners, at local, national and global levels, and in countries across Africa, Asia, Europe and Latin America. KNCV provides a full range of services to national TB control programs, local partners, international organizations and platforms involved in global policy development. > mobilizing communities and civil society. Crucially, KNCV conducts scientific research to provide the evidence base for the interventions and to measure the impact on the TB epidemic. KNCV constantly monitors and evaluate the activities, outputs and outcomes in order to be able to provide optimal quality of services.